Guy is no master mariner, with a clipped red (or black) beard. He’s just an ordinary member of the crew, an able seaman–and a lazy, cowardly liar, drunkard, and (last and definitely least) thief. He pees on bar counters and barfs in pretty girls’ bathrooms. All of which makes him more like the real gallows-fodder that haunted the Seven Seas in the 18th century than the swashbuckling Hollywood heroes that have found their way into most modern comics. The story is in two (allegorical) parts: The Blowout and the Hangover. 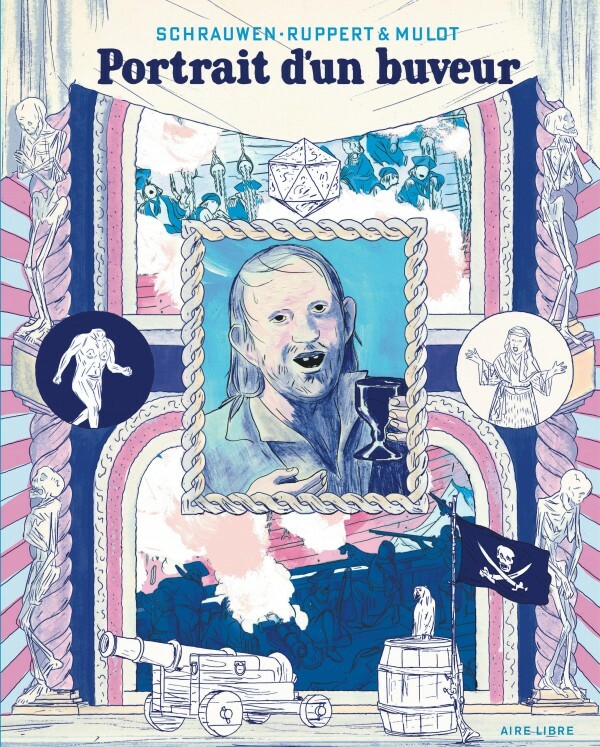 “Guy le Pirate” brings together the key narrative and pictorial elements of the great tales of the sea–bright colors, great battles, and plenty of brawls.